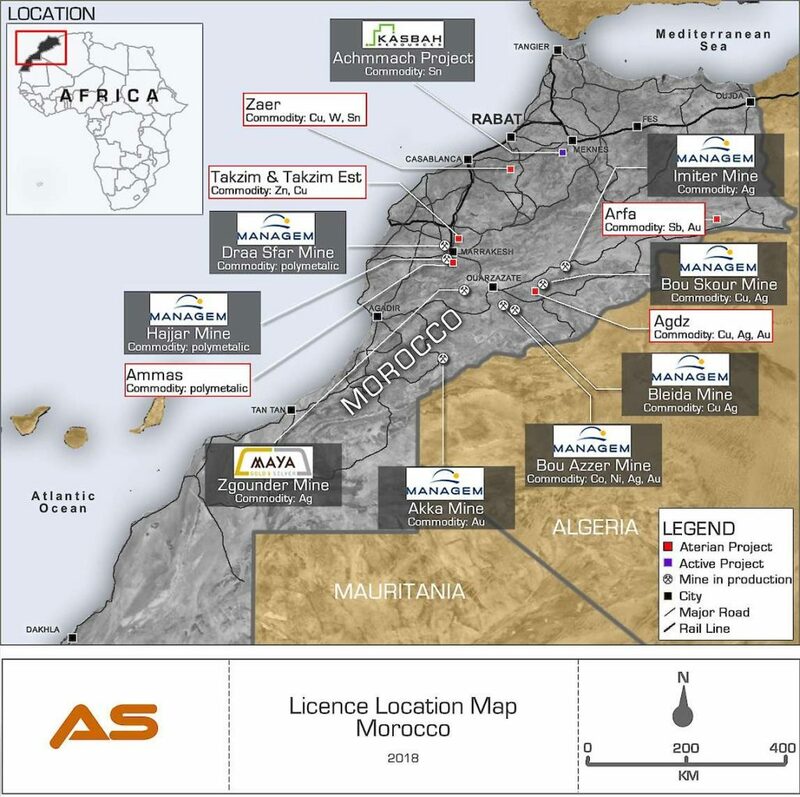 Rabat- Morocco has granted licenses to UK-based mining exploration company Altus Strategies Plc to explore zinc, copper and other base metals in different locations in the kingdom, totaling 87.55 square kilometers. 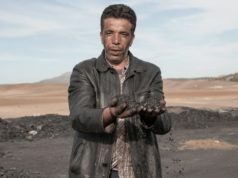 The company recently announced that the kingdom issued it six exploration permits to dig for tungsten, tin minerals, zinc, and copper at sites named “Takzim Est,” “Arfa”, and “Ammas” located 30 kilometers away from Marrakech. 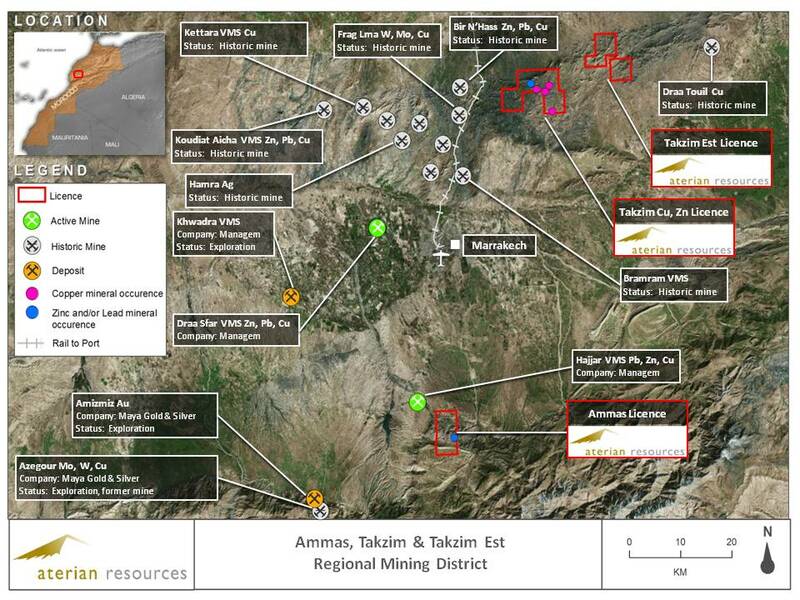 Altus received three exploration licenses for Takzim Est north of Marrakech, covering an area of 39.80 square kilometers, and two exploration licenses in the Ammas site covering 31.75 square kilometers. 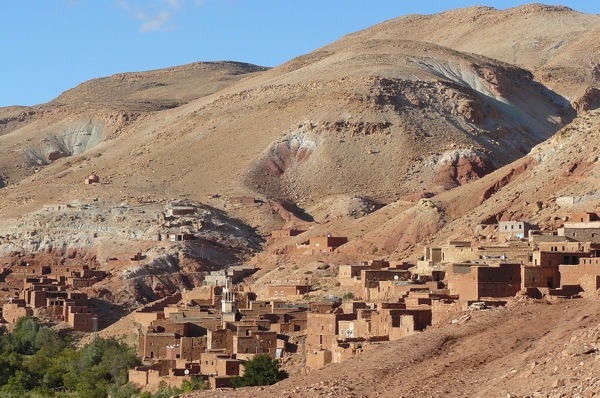 Morocco granted Altus one license for Arfa site in northern Morocco, constituting of 16 square kilometers. 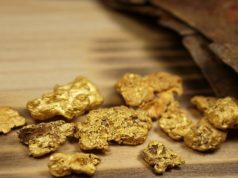 Altus’ explorations will take place with an initial three-year term, after which will be renewable for a further term of four years. 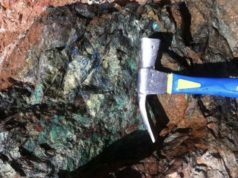 Chief Executive of Altus, Steven Poulton, revealed that the company’s geologists discovered quartz stockworks and gossanous material at the Ammas site. 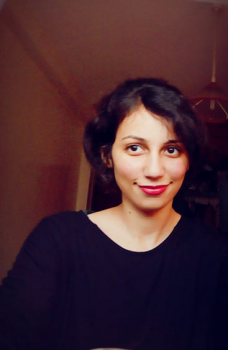 Founded in 2007, Altus Strategies is a British exploration project generator with a focus on the African continent. 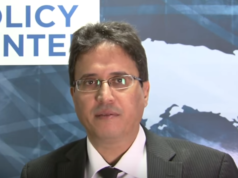 Morocco’s mining sector is the most attractive market in the MENA region, according to BMI Research Group, which in April ranked it second after Saudi Arabia, owing to it being the leading global producer of phosphates, silver, zinc, copper and cobalt, in addition to modest volumes of gold.